Systematic Withdrawal Plan - The Ideal Option For Your Retirement Needs! Do you recall reading Shekhar's story? Shekhar (53 years) was worried about life post-retirement and his friend Rahul urged him to start retirement planning right away. He had explained the alternative investment avenues; one of the options was mutual fund investments. Shekhar had made investments in other investment instruments except for mutual funds. He wanted more clarity before investing in it. So, one Sunday evening, he visited Rahul to know more about mutual fund investing. Rahul was pleased to hear that Shekhar had decided to invest in mutual funds. Rahul explained that the key points to focus on before investing in mutual fund are the person's age, risk profile, and a number of years left to retire. Although investing in mutual funds can provide better inflation-adjusted returns by reducing risk through diversification, however that doesn't eliminate the risk. The ability to bear risk diminishes and capital preservation is the main concern when you are nearing retirement because the time horizon is shorter. For instance, if you are young and your personal income is above average; you live in a double-income family; do not have many liabilities to shoulder and have financial goals that are far away; you might be okay to bear loss as you have many years to retire. Similarly, a 53-year-old approaching his retirement in the next five years would focus on savings. Additionally, he would be unwilling to bear the risk. Thus, the best way to invest in mutual funds when you are on the brink of retirement is to opt for a Systematic Withdrawal Plan (SWP). Through a systematic withdrawal plan, you can make regular withdrawals (say monthly, quarterly, half-yearly and annually) of a fixed amount and still continue to stay invested over a period to clock returns on your remaining amount. The returns from such funds may help you cope with the inflation during your retirement years so that the value of your retirement corpus does not diminish in value. Assume you get Rs 7 lakhs as your gratuity and you choose to invest it in an equity fund that is well diversified and well managed from a reputed fund house. Suppose the Net Asset Value (NAV) of the Fund is Rs 100, then you will hold 7,000 Units (Rs 7,00,000/Rs 100). Since you have chosen an SWP, where you withdraw Rs 15,000 monthly, your holdings will decline to 6,850 units (i.e. Rs 15000 / Rs 100 NAV = 150 units are reduced from his initial holdings) in the first month. But later, considering the fluctuations in the markets when the NAV increases to Rs 104, the Final Value of your investment even after the withdrawal is valued at Rs 7,13,000. Similarly, even after withdrawals over a 6-month period, the final amount of your effective portfolio would be valued at Rs 6,70,115. Thus, it is a better investment option than a savings account in a bank, where you withdraw Rs 90,000 and there's a dip in your savings with no returns at all. Hence, SWPs can be used as a means to source your monthly expenses for retirement planning . It will not only provide you with a fixed source of income but also a disciplined approach to spending. Rupee-cost averaging would work in your favour when you withdraw systematically. Shekhar contacted PersonalFN on Rahul's recommendation immediately. PersonalFN has been offering unbiased, customised, and research-based solutions to their clients for the last 18 years. To make your retirement planning stress-free connect with PersonalFN's Certified Financial Planners and Wealth Managers on 022-61361200 or write to info@personalfn.com. You may also fill in this form, and soon our experienced financial planners will reach out to you. Editor's note: If you want an easy and ready-made solution for your retirement. Choose Retire rich service, a comprehensive guide to plan for your retirement and potentially build a substantial corpus. It is a service to guide you with almost ALL the necessary essentials of retirement planning. In short, this is a new and exclusive service with the sole intent of securing your retirement. Subscribe now! Equitymaster requests your view! 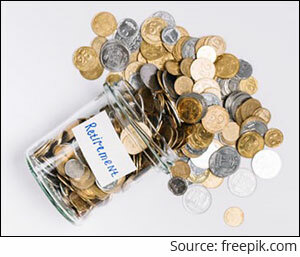 Post a comment on "Systematic Withdrawal Plan - The Ideal Option For Your Retirement Needs!". Click here! Experts expect the RBI to cut policy rates further this financial year. At this juncture, the BIG question is: Is it a right time to invest in dynamic bond funds?